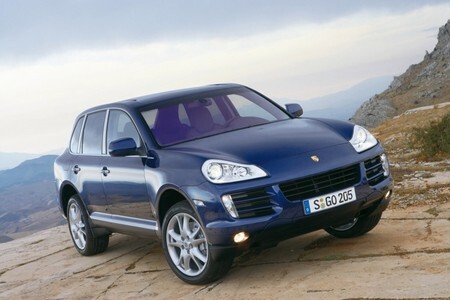 The original Porsche Cayenne is now available at bargain prices on the used market. The first generation consisted of a 3.2 V6, a 4.5 V8 Cayenne S and a Turbo, with all impressing owners and reviewers with their handling and performance. The range then underwent a major overhaul in 2007. Its exterior styling was given a sleek new look and the engines were replaced by more powerful units, with the entry level model getting a 3.6 V6 and the S upgraded to a 4.8 V8. The facelifted version remained on sale until late 2010, when it was replaced by a full second generation Cayenne range. Both the pre-2007 models and the facelifted ones sold well and there are now plenty around on the second-hand market – but with so many 4x4s available, why should you choose a used Cayenne? The facelift Porsche Cayenne is available for under £15,000. A new Porsche Cayenne is a sizeable investment, but a quick internet search will show you a wide choice of sub-£10,000 used models. That’s Porsche quality, performance and comfort for the same price as a new Dacia Duster. With a £10,000 budget you can have your pick of 3.2 V6 and S models dating from 2003 to 2006. £15,000 will buy you an early facelift 3.6 V6 or S, and may also get you a nine-year-old Turbo if you search hard enough. It is possible to find a diesel Cayenne for £18,000 if you can live with a high-mileage model, but 2009 diesels are typically priced at £20,000 to £23,000. A 2008 Cayenne GTS will cost you about the same – which is still less than a new Mitsubishi Shogun. The look of the Cayenne suggested Porsche had moved away from its sports car heritage when it designed the 4×4, but the performance tells a different story. The entry level 3.2 V6 (produced until 2006) generates 250bhp and boasts a 0-62mph figure of 8.8 seconds, despite weighing 2.1 tonnes. Its 2007 replacement, the 3.6 V6, is even better, with 285bhp and 0-62mph in 7.8 seconds. Move up the range and you can choose from a Cayenne S with a 4.5 V8 that accelerates to 62mph in just 6.6 seconds and boasts a top speed of 150mph, or a 399bhp GTS model. There are also Turbos with sub 5-second 0-62mph figures, although you will pay a premium for them. 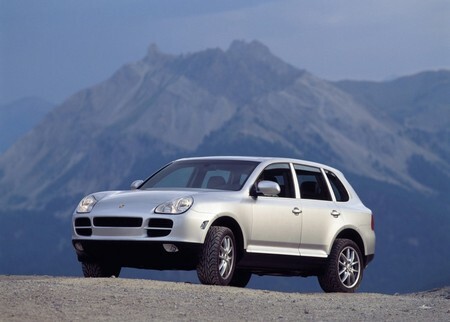 In 2009, Porsche launched the Cayenne Diesel S – its first ever diesel-powered car – which has a 3.0-litre engine that generates 236bhp and an official 0-62mph time of just 8 seconds. Whichever Cayenne you choose, you will get something that very few SUVs deliver – a fun driving experience. As well as impressive speed and acceleration, you will enjoy excellent handling and grip and reassuringly effective brakes, all controlled from a great driving position. Before you buy, check which options the car comes with. 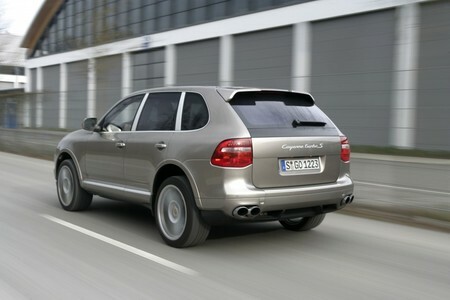 Air suspension coupled with Porsche Dynamic Chassis Control is a real bonus, as it gives the Cayenne a sporty feel. Even the sporty Porsche Cayenne Turbo is a practical choice. Many people chose the Cayenne ahead of the X5 or M-Class simply because of the Porsche badge, but soon found it had much more to recommend it than kudos. It is also a highly practical family car suitable for everyday use. Unlike many large SUVs, it has superb handling and copes with corners as easily as most sports cars do, thanks to its exceptional grip. The five-seat set-up means all the models are spacious and comfortable, with ample leg and headroom in the back. The standard luggage space is 540 litres – more than enough for a family holiday, but fold down the rear seats and it becomes 1,770 litres. The Cayenne has a maximum towing weight of 3,500kg, so can easily handle caravans, horseboxes and trailers. The Cayenne isn’t just for Cheshire mums taking their kids to school, it is also a genuine off-roader. Its 4×4 system is highly sophisticated, providing outstanding traction on almost any surface. No other car offers quite as good a combination of on-road performance and off-road capabilities. Whether you live in a rural area with poor roads, enjoy holidays in the great outdoors or just like to indulge in some off-roading at weekends, a used Porsche Cayenne will cope with the conditions. If you are likely to use it off-road or on unmade roads on a daily basis and are looking at pre-facelift Cayennes, try to find one with the air suspension option, as it will deliver a significantly better ride quality over rough ground. Buying any used car involves an element of risk, but you can reduce that by being aware of and checking for the most common problems on your chosen model. You can also organise to bring the Cayenne you plan to buy into Revolution Porsche’s Brighouse workshop for a full Pre Purchase Inspection and report. 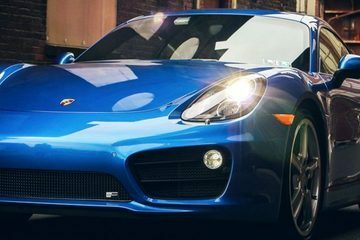 When buying any Porsche, it is important to check its service history, as the cars should only really be maintained by trained Porsche technicians. Also ask to see the invoice for the Cayenne’s last MOT and service, as these should include a list of advisories that will either have been completed or will act as a guide to how much you would have to spend on maintenance in the first few months of ownership. In general, the engines across the range have proved to be very reliable. 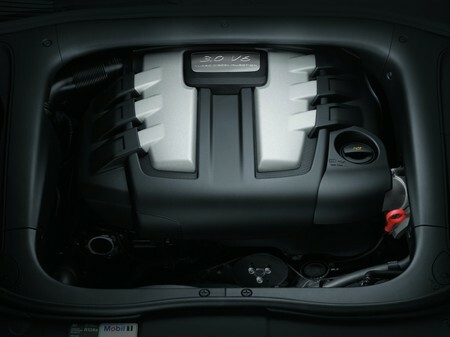 The one that has experienced the most problems is the 4.5-litre V8 in the pre-2007 S model, which can suffer from bore-scoring that eventually requires a replacement engine. It is well worth investing in a borescope inspection – a service we offer – before buying an early Cayenne S to check that an expensive fault is not imminent. Tyre wear has proved to be a problem on some first generation Cayennes, with owners reporting having to change the front rubber after just 10,000 miles – although many large cars suffer from the same issue. Check that there is plenty of life left in the tyres before you buy or adjust your offer accordingly. The Cayenne, like most big 4x4s, is hard on its brakes and it is likely that any pre-2010 model will have had the discs and pads changed at some point. 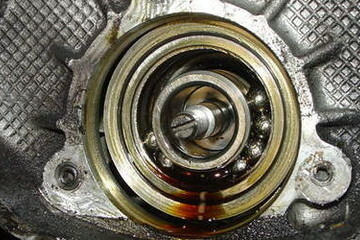 Ask for details and, if available, to see invoices for the work to check it was carried out by a Porsche specialist using the recommended parts. There are also some reports of air-con failures and problems with the rear heated screen, but these are relatively rare and simple for our technicians to identify. A Pre-Purchase Inspection at our Brighouse workshop, which includes a full visual and diagnostic check, along with a comprehensive report on the car’s condition, costs £150+VAT, with a borescope inspection available for a further £99+VAT. For more information or to book a car in, please call Revolution Porsche on 01484 717342 or contact us via the website.